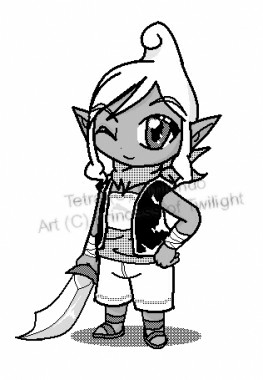 Hello everyone!^^ This is just a pic of Tetra that I drew in MS Paint.^^ It's my attempt to make "screentones" like the ones that appear in mangas, (it was inspired by the PH and WW Manga and 4-koma that just appeared on ZL not too long ago) =D I hope that I was successful, I'm pretty satisfied with it. And I hope you all like it too! ^~ Please comment and rate if possible. Success! Looks great! Love it!